It’s hard to avoid feeling some sort of nostalgia for the toys and tools we became used to as children. 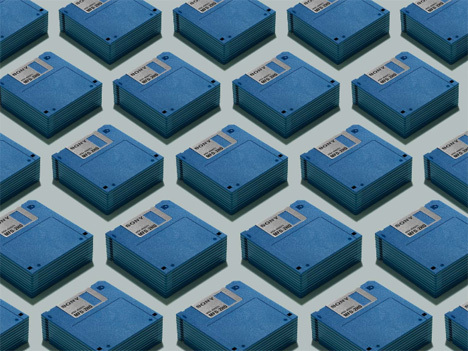 In the 80s and 90s, technology experienced a huge boom – and as it quickly progressed, technology waste likewise increased exponentially. The planet is overrun with obsolete objects like floppy disks, outdated cell phones, cassettes and untold amounts of other e-waste. Photographer Jim Golden was inspired to document these disappearing relics when he saw an ancient brick-style cellular phone in a thrift shop. After that find, he began collecting other old “junk” from friends, thrift stores and eBay. He was fascinated by the objects both because of their nostalgia value and the curiosity he felt about what may have happened to all of the wasted objects. Golden made some of his photos into GIFs that further illustrate the former usefulness of these now-outdated pieces of technology. 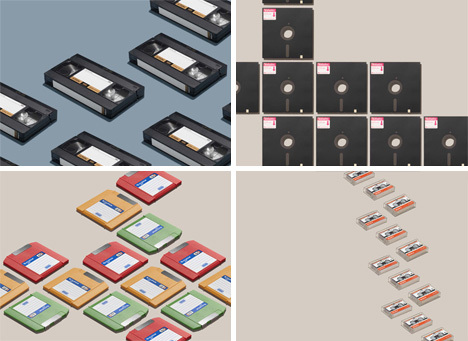 If you are young enough to never have lived when these things were the standard, these GIFs might be the closest you’ll ever get to using a projector, reel-to-reel tape recorder, or rotary phone. See more in History of Tech or under Vintage & Retro. May, 2014.